Might as well start this thread in response to the new trailer. First comment: Right now, it looks like this film is destined to sweep the Razzies. 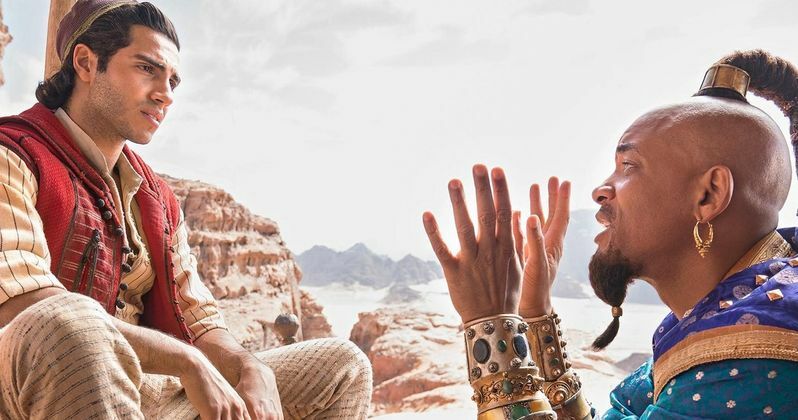 Both the Genie and Jafar appear to be severely miscast, and the CGI for the Genie is abysmal (if I hadn’t known any better and had to guess when this film was made solely based on the quality of that CGI, I would’ve guessed the late ’90s or early 2000s; its quality is that pitiful). With that being said, the monkey is cute. This reply was modified 2 months, 1 week ago by Andrew229. This is nightmare. Wtf is wrong with Jafar? Such a miscast. And Genie? No, just no. One can only hope this ridiculous Disney trend of remaking so many of their animated properties with “real live” (and largely inferior) versions comes to a screeching halt with this film–or at least if not a complete stop, a more judicious and less mercenary approach to green-lighting them in the future. Rex Ingram, the great African-American actor, was a fantastic genie in THE THIEF OF BAGDAD so not sure why they couldn’t just let Will look like Will instead of bathing him in Smurf-face. Blech. As for Jafar, they cast that pretty interestingly. A younger Jafar that people online are thirsting after already…. Marwan Kenzari has a bunch of shirtless pictures online, and he’s much more attractive than what the animated version displays. One can only hope this ridiculous Disney trend of remaking so many of their animated properties with “real live” (and largely inferior) versions comes to a screeching halt with this film–or at least if not a complete stop, a more judicious and less mercenary approach to green-lighting them in the future. 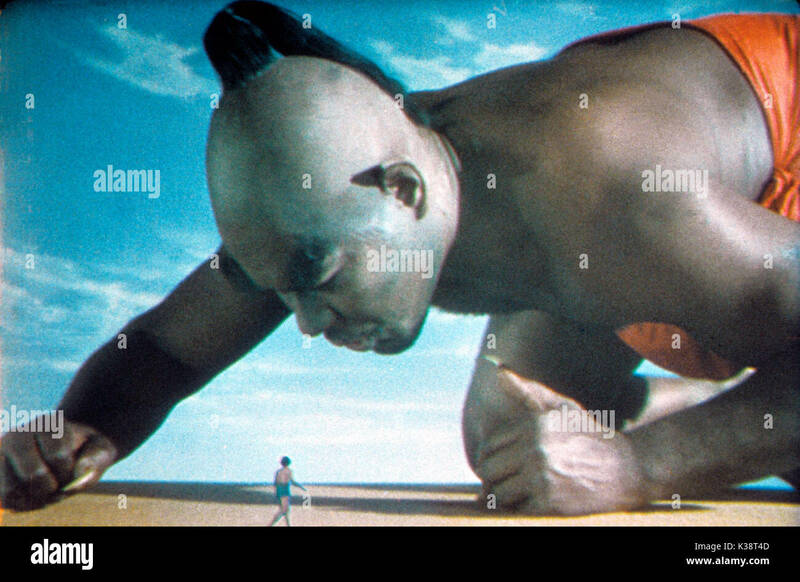 Rex Ingram, the great African-American actor, was a fantastic genie in THE THIEF OF BAGDAD so not sure why they couldn’t just let Will look like Will instead of bathing him in Smurf-face. Blech. Actually, Will does appear in human form in the movie. He even looks a bit like Rex here. It looks so bad. They better sing. Given that its directed by Guy Ritchie is anyone really that surprised that this looks terrible? The Fresh Genie of Bel-Air… lawd if this is the characterization through he whole movie, I just don’t know what. I don’t mind the blue and don’t understand why people don’t like it. The character was blue in the 1992 film. Jafar is even worse, I guess Jeremy Irons was busy…he would have been perfect.